adding an old washboard to the bottom. 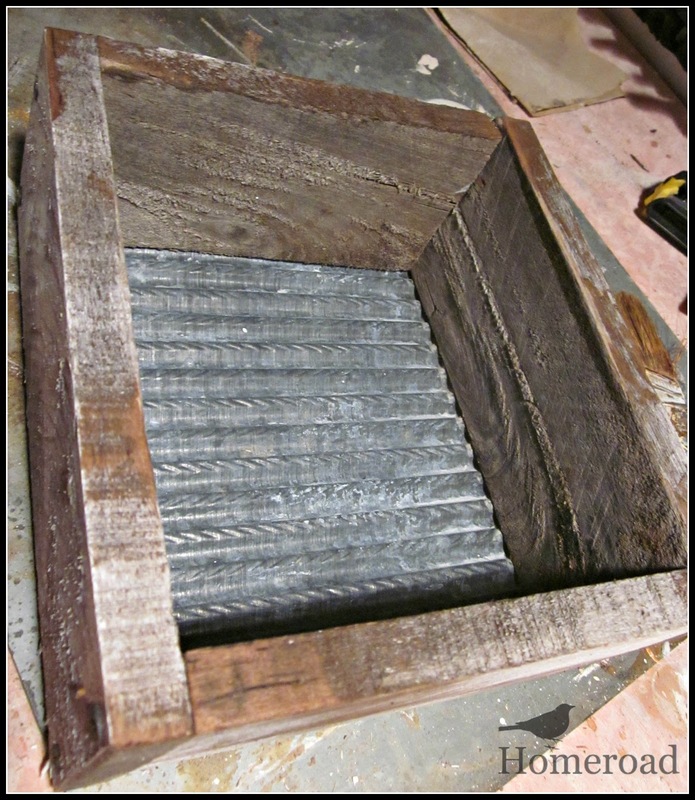 The zinc bottom to this crate gives it a lot of character! This is lovely, a great use of the pallet and perfect for that jug! 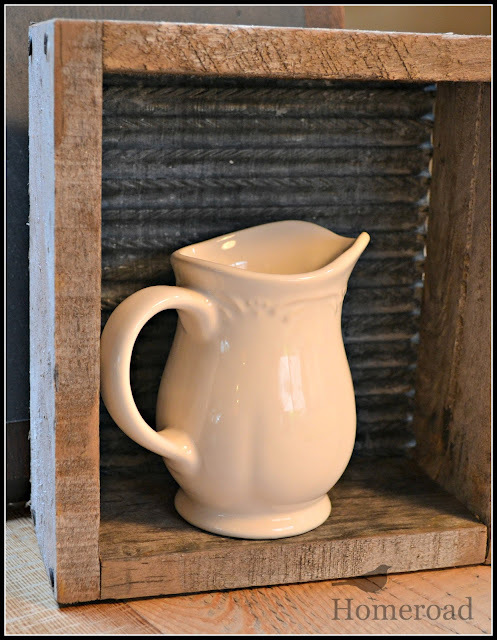 Love the crate...the white pitcher looks great in it!! That looks great! The washboard bottom really makes it look more unusual, and is a great background to the jug! I love this. Great use for the washboard.